LIA - Leipzig International Art Programme cordially like to invite you to the LIA Group Show: "A Topology of Memory"
Designers‘ Open is the leading design festival in Germany! Selected DO/Spots in Leipzig like SPINNEREI open their doors for the Designers’ Open and invite to an ambitious design tour. At product exhibitions, workshops and vernissages visitors become acquainted with the scene and look behind the scenes. In the context of "Lindenow" festival for independent offspaces in Leipzig HALLE 14 will open the exhibition "diezeiten: More Than Fifteen Minutes" und "Trusted Time" from october 3 to 5 with extended opening hours. The SPINNEREI cordially invites you to the Autumn Gallery Tour. 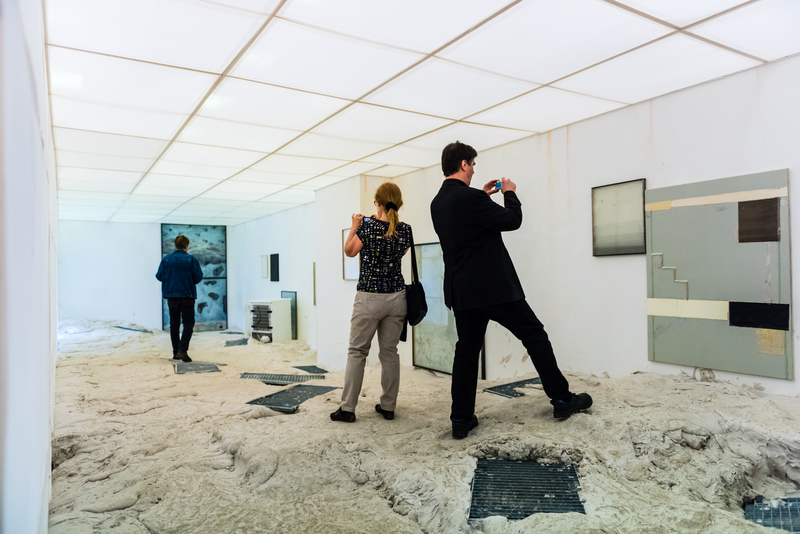 On September 13 and 14, 2014 at 11 am all of the galleries and exhibition spaces open up new exhibitions of various art positions. Due to extended opening hours during the gallery tour you have the opportunity to explore exciting new exhibitions and experience the SPINNEREI in action on Saturday from 11 am to 8 pm and Sunday from 11 am to 4 pm. Here you can find the complete exhibition programme. Exhibition extended until November 15th. 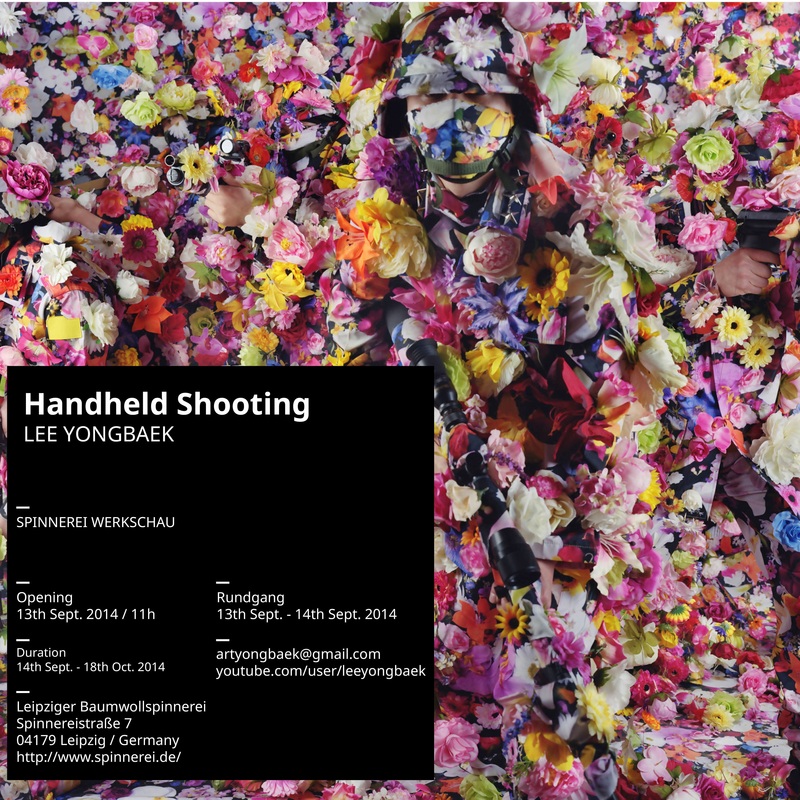 The exhibition “HANDHELD SHOOTING” a solo presentation of works by Lee Yongbaek was opened as part of the Autumn Gallery Tour. Lee Yongbaek had his solo presentation at the Korean Pavilion of the 54th Venice Biennale. The exhibition will feature works in video, photography, sculpture, and painting that reveals the pain in the history of Korea’s modern politics and culture, and its hope for the future. It connotes the past, present, and future of Korea passing through colonization and liberation, division of the country, ultrahigh speed economic development and its aftereffects, and a maturity that the Koreans now want to hold. HOW Art Museum, Shanghai; 2011 Venice Biennale; Saatchi Gallery, London; 2009 Moscow Biennale; ZKM Karlsruhe;Center of Contemporary Art in Torun; The 3rd Nanjing Triennale; Museo Nacional de Bellas Artes, Buenos Aires; King’s Lynn Art Centre, London; Museo de Arte Contemporáneo, Santiago; Eli and Edythe Broad Art Museum, East Lansing, US; The Harris Museum, Preston, UK; National Museum of Modern and Contemporary Art, Seoul.